The Federal Reserve’s report on industrial production in August showed continuing strength, while July’s growth also was revised upward. Specifically, in terms of industry groups in August, overall industrial production – i.e., the output of the nation’s industrial sectors, i.e., manufacturing, mining and utilities – grew by 0.4 percent in August, including 0.2 percent growth in manufacturing, 0.7 percent in mining, and 1.2 percent in utilities. Meanwhile, in terms of major market groups, growth of 1.2 percent in business equipment pointed to continued business investment. 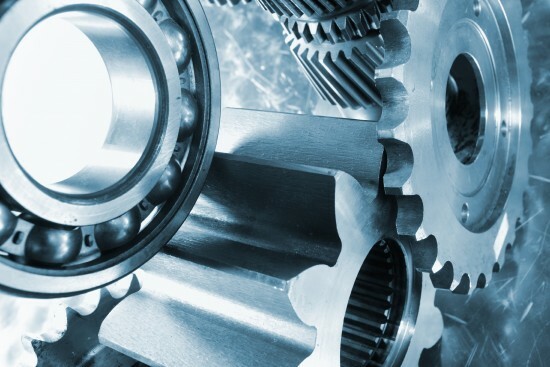 Over the past year, growth has been robust, with overall industrial production up by 4.9 percent, including manufacturing up by 3.1 percent, mining by 14.1 percent, and business equipment by 4.2 percent. As SBE Council has noted before, in terms of annual data, the last time the U.S. experienced industrial production growth exceeding 4 percent in a non-recession year was 1999 when it registered 4.4 percent (industrial production grew by 5.5 percent in 2010 but that was after declines of 11.5 percent in 2009 and 3.5 percent in 2008). 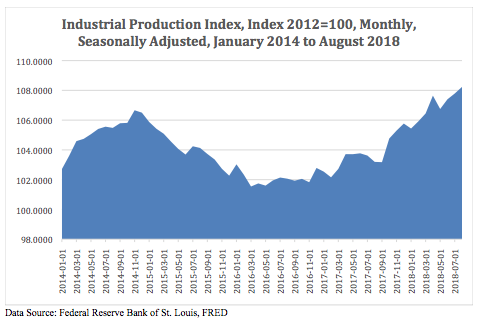 In particular, it should be pointed out that industrial production had declined basically from November 2014 to November 2016, and subsequently has shown strong growth. That turnaround lines up with a dramatic shift in tax and regulatory policymaking, from imposing increased burdens during the Obama administration to providing tax and regulatory relief during the Trump administration. When it comes to entrepreneurship, business investment and growth, policy does indeed matter.